I will be taking part in the Mediaarthistories 2015 conference soon (in November) in Montreal. Under the title Re-Create the event promises to be several days of exciting panels again with a good emphasis on practice-based research. We are participating with a panel on labs in humanities and media studies, addressing the practice and contexts of this interdisciplinary trend (incidentally, with Lori Emerson and Darren Wershler we are also working on a book and a project on labs; we will be also talking about this at Concordia University). 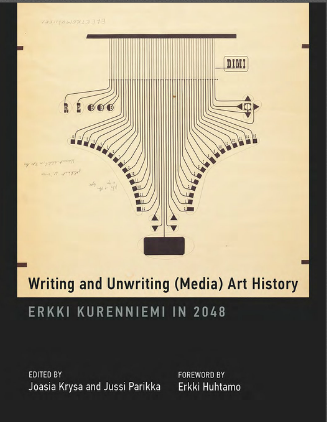 In addition, the same day (Saturday 7th of November) we are with Joasia Krysa and Perttu Rastas launching the Erkki Kurenniemi-book that came out with MIT Press! This is one of several launch events. Please join us and come hear more whether about labs or Kurenniemi! The programme of the conference is online here.